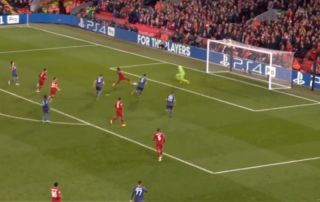 Saido Mane made it 4-0 to Liverpool with a tidy finish from close range after earlier missing a penalty in tonight’s Champions League game against Red Star Belgrade. Liverpool are in rampant mood at Anfield as they turn on the style this evening, with Roberto Firmino and Mohamed Salah scoring earlier in the match for the Reds. This certainly makes up for defeat at Napoli in their last Champions League game, and Mane will be pleased to have put his penalty miss behind him as well.